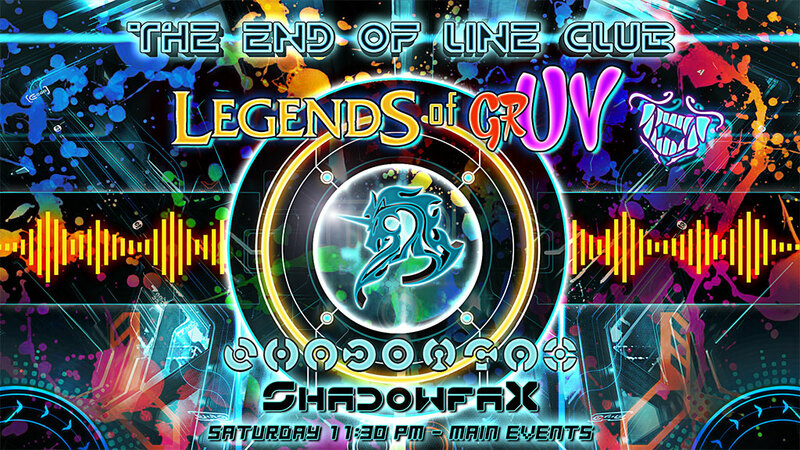 OMNI FANDOM EXPO - THE END OF LINE CLUB: Legends of grUV! Return to the GRID at The End Of Line Club where you become one of the Legends of grUV! Bathe in the massive UV Flood and dance the night away as you show off your black light costumes, CREATURES, and props! Join Shadowfax amidst the digital glow of the GRID as he spins the hottest Vocal/Anthem/Uplifting Trance tracks straight from the top of the Euro club charts! NEW FOR THIS YEAR AT THE END OF LINE CLUB! You can bring other creations, but we'll base our decisions off of if we think it fits the spirit of the contest.